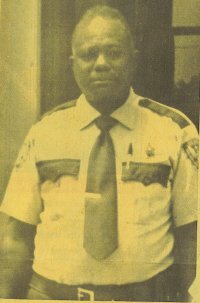 Deputy Curtis Chapman, or Chet, as he was known to many, was the first black man to ever serve as a Deputy in Wayne County. 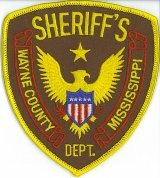 Sheriff Marvin M. Farrior hired Curtis Chapman on the recommendation of the Voter’s League during Sheriff Farrior’s first term in 1968. 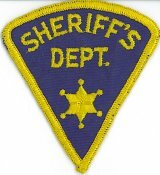 Curtis Chapman served the department until he died after fighting a four year battle with prostate cancer. Photograph reprinted by permission from the The Wayne County News. Former Sheriff Marvin M. Farrior and Sheriff John Stein Farrior pose together after Sheriff John Stein Farrior accepts oath of office in January 2000.